Melange Solid Perfume Blending Palettes in amber notes no. 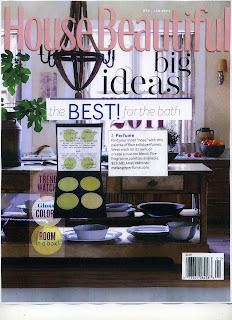 1 are featured in the December/January issue of House Beautiful Magazine in their Best for the Bath feature. Try blending amber, vanilla orchid and plum with patchouli and musk. Another favorite is tobacco leaf; patchouli and musk; plus santal, lily and tonka. By varying amounts of fragrance you can personalize your favorite blend - custom blending at your fingertips!